I collect many different styles of baskets, though most are either Appalachian or Native American. 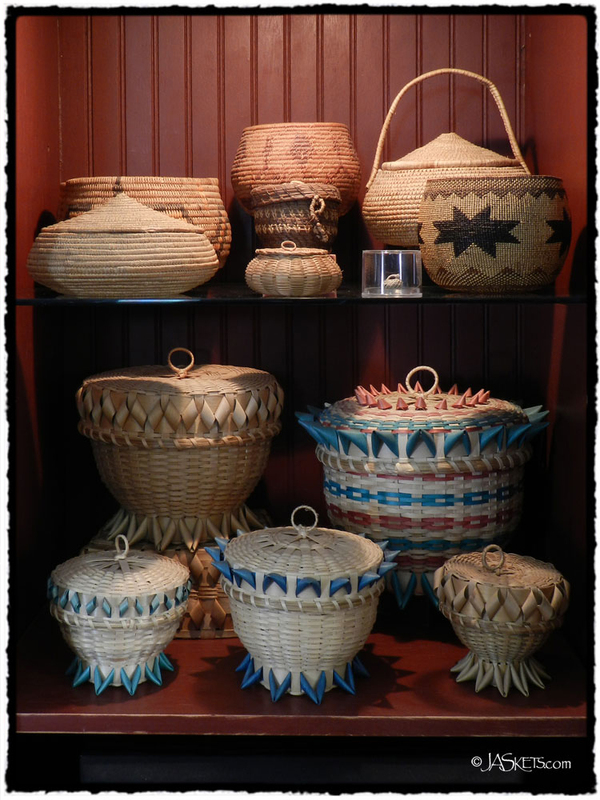 These are just a few of the Native American baskets I have in my entertainment center. Most are vintage, but a few of the black ash "acorn" baskets are contemporary. I wish I knew more about the various Native American basket making tribes. I really need to some research.